This is the Summer to get crafty with your draught offering. To help you get this sorted, we are offering an amazing deal to anyone in the on-trade. The feedback from our customers is that beer drinkers are demanding variety and sometimes you're limited in what you can do by keg. So, to help you give your customers what they want and increase your draught sales, we are offering a 3 Tap Deal with a whole host of freebies to sweeten the deal. This lager is only available by keg and is one of the most refreshing and well rounded pints you can sell. It's lightly hopped with a malty backbone and at an easy 4%, the customers keep coming back for more. A great friend to quality gastro pub menus. Choose from Heathwick’s wide range of American and British craft beer portfolio including IPAs/APAs, Blondes, Ambers, Wheat Ales, Cider as well as seasonal specials throughout the year. With so much choice in the American craft beer market these days, we know you won't be able to choose. So we won't ask you to! Depending on the season, trade and customer suggestions, rotate your beers and keep things fresh. When a stout like this hits the market, it makes people's ears prick up. And, when you try your first pint, it'll make your taste buds tingle. 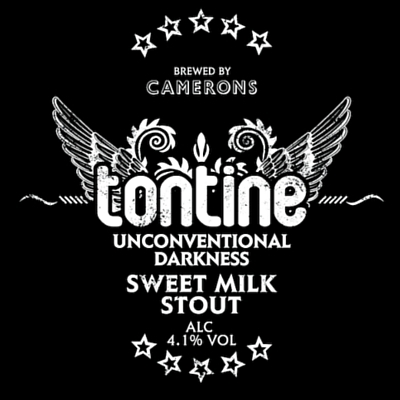 A beautifully smooth and ever so slightly sweet milk stout that breaks convention, Tontine is in it for the long haul so get those gorgeous stemmed glasses out and pour to your customer's content. Get in touch to register your interest in this 3 Tap Deal and we'll send you our portfolio. Alternatively, have a browse on our Product page and select the 'draught' category box to see every product available on keg. Above offer is subject to mandatory 12 month commitment to serve Heathwick beers on all three taps. Terms and conditions apply. Includes a 3 way font and installation; subject to site survey. Available for a limited time only.